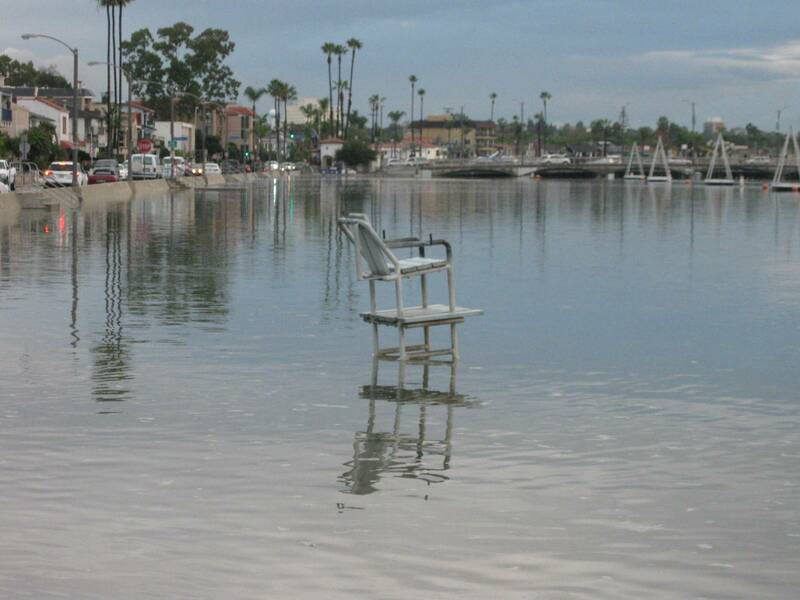 (June 23, 2013) -- Mother Nature will bring Long Beach a higher than usual "King Tide" tonight -- June 23 at about 9:43 p.m. -- reaching 7.11 feet according to tides.mobilegeographics.com. 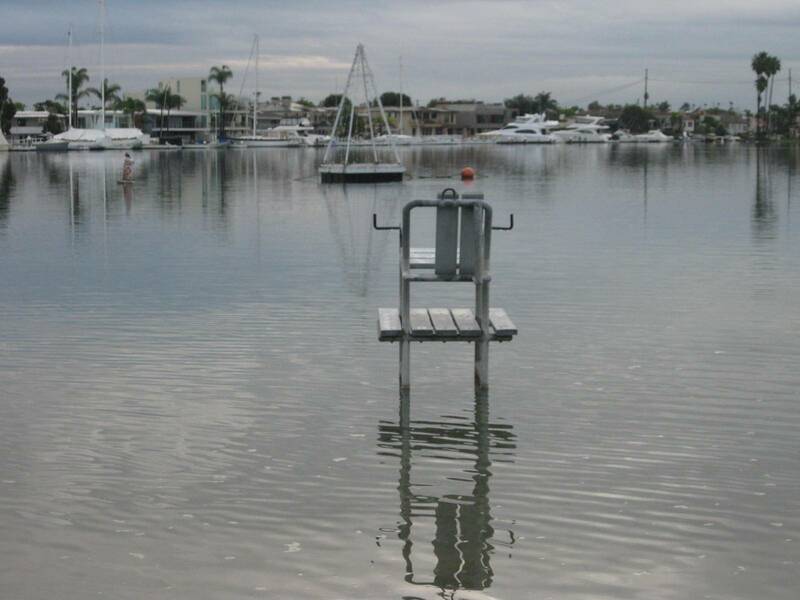 The water level also rises further inland. 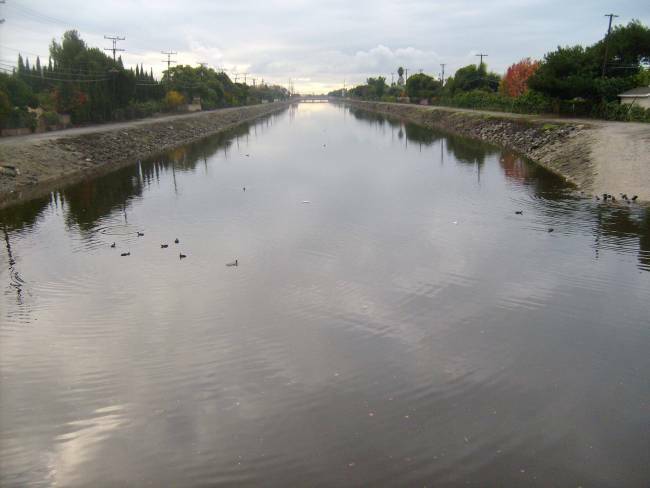 King Tides bring the Los Cerritos Channel to higher than usual levels. Below are photos from December 13, 2012 looking northward from Atherton St. 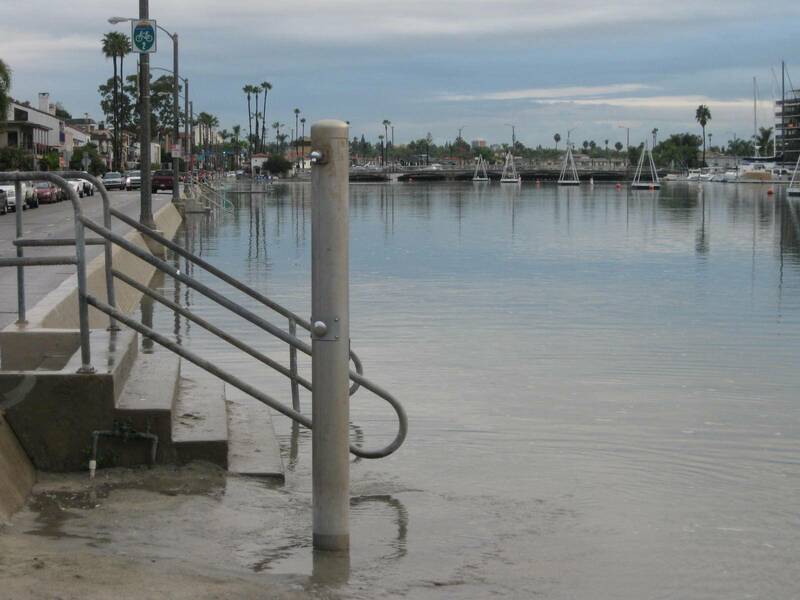 Compare the "King Tide" in the morning with low tide about seven hours later. 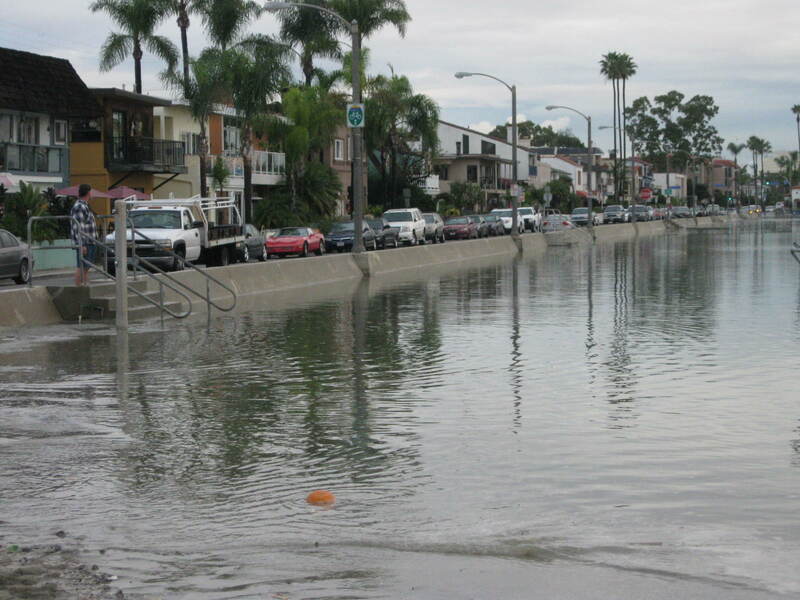 City crews insert drain plugs in storm drains on Naples Island to prevent seawater from backing up onto surface streets, As long as it doesn't rain at the same time (not an issue in June) it's not a problem. 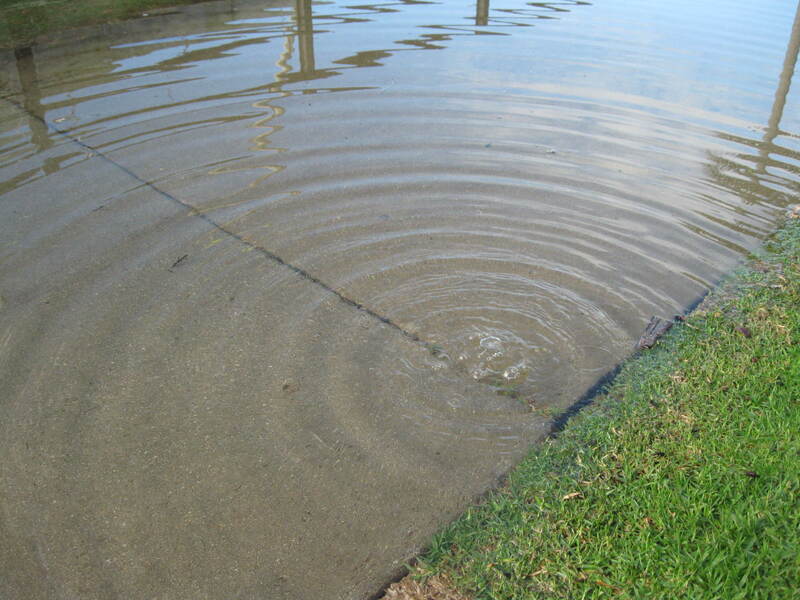 (In winter, if rain coincides with a King Tide, storm water does back up onto surface streets until the drain plugs are removed after the King Tide passes). These aren't disasters; they're interesting sights and teachable moments for the kidlets. 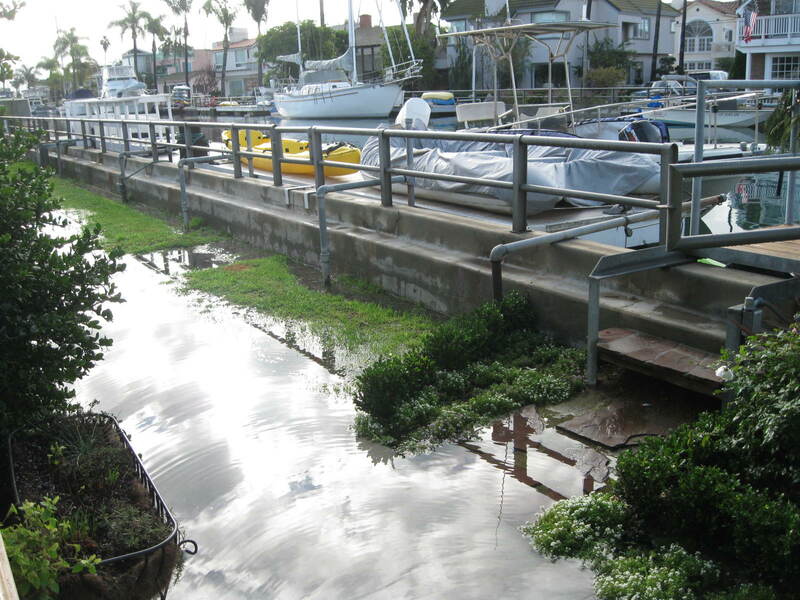 However, as LBREPORT.com reported in December 2012, some parts of the seawalls in the Naples area leaked and/or seeped water visibly onto walkways next to homes along the canals. In the photos below, notice that we're standing below the water level...and we saw water bubbling up and along the walkway in the two areas below. Area residents nearby were more than displeased. 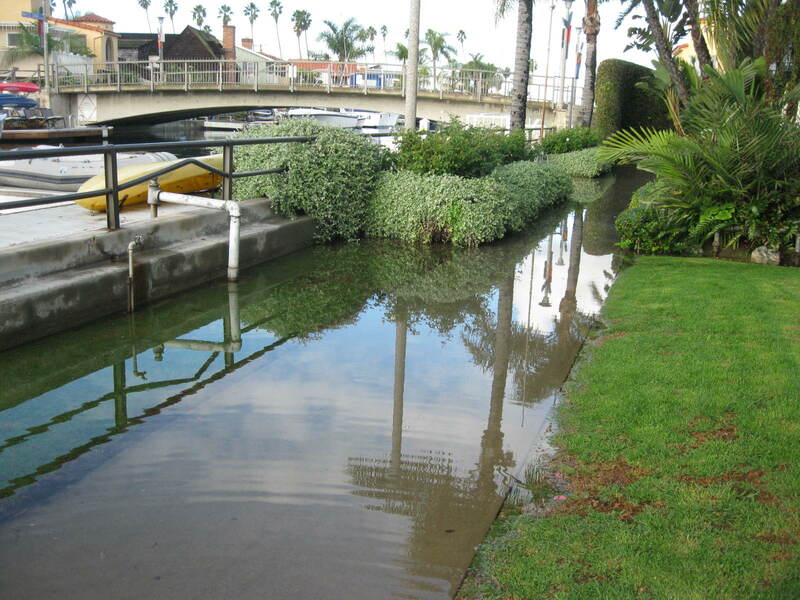 The City Council has budgeted multi-million dollar sums to deal with seeping seawalls (choosing the more expensive, long term repair option over a less expense short term fix). 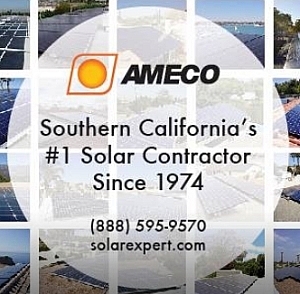 However at last report, those repairs have been stalled by Coastal Commission staff objections to some aspects of the project as proposed by Long Beach city staff; we're told discussions have been ongoing. 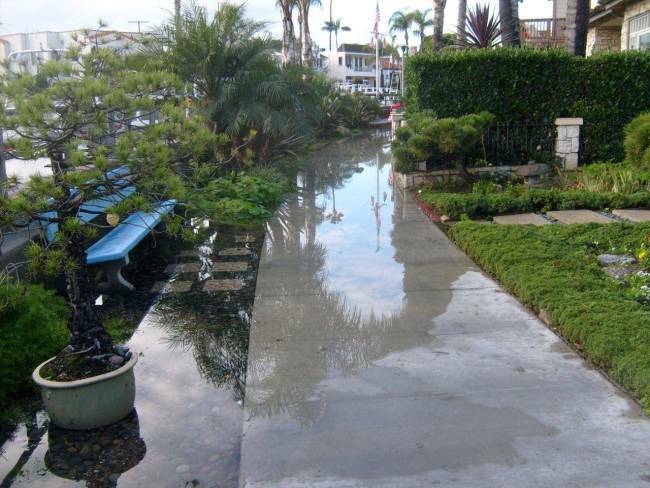 The Council budgeted seawall repair sums from the Tidelands Fund...which has brought objections from non-Naples taxpayers...who argue that Tidelands Funds ought to be used to improve beaches for the general public, not protect privately owned Naples mansions whose owners should pay special assessments for the Seawall repairs. 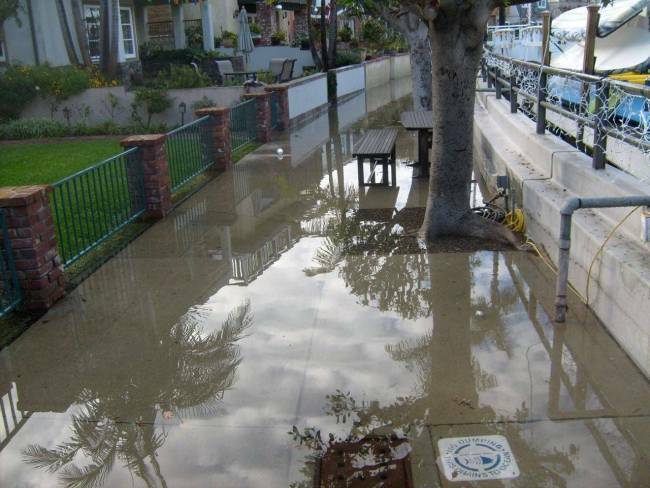 Naples property owners reply that they have walkways directly along their front yards which are used and enjoyed by the General Public all year, and especially during the Christmas season (with many visitors enjoying holiday decorations and an annual illuminated boat parade.) Some locals speculate that city-facilitated oil drilling over the years may have contributed to the problem. 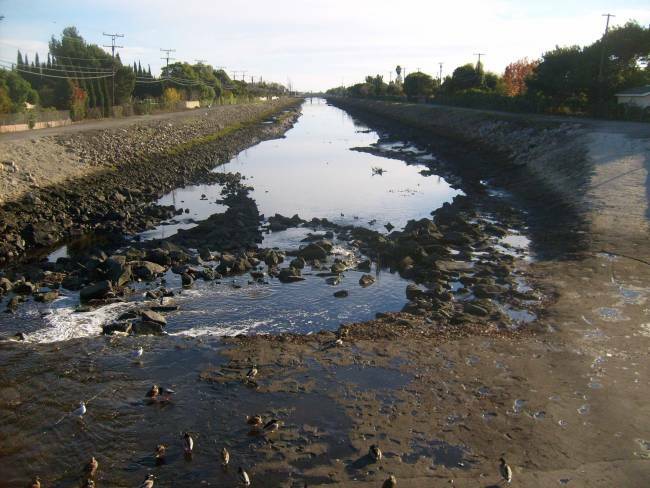 The three-member State Lands Commission has approved the use of Tidelands Funds for the Seawall repairs.